The Gel-Upcourt is a kids volleyball shoe that can do it all. So if you're looking to get into volleyball, it'll be there for you all the way. 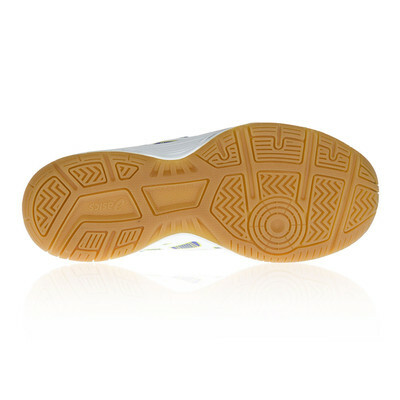 You can keep your footing thanks to the high-grip outsole. And serving and blocking are easier with a flexible, comfortable upper. 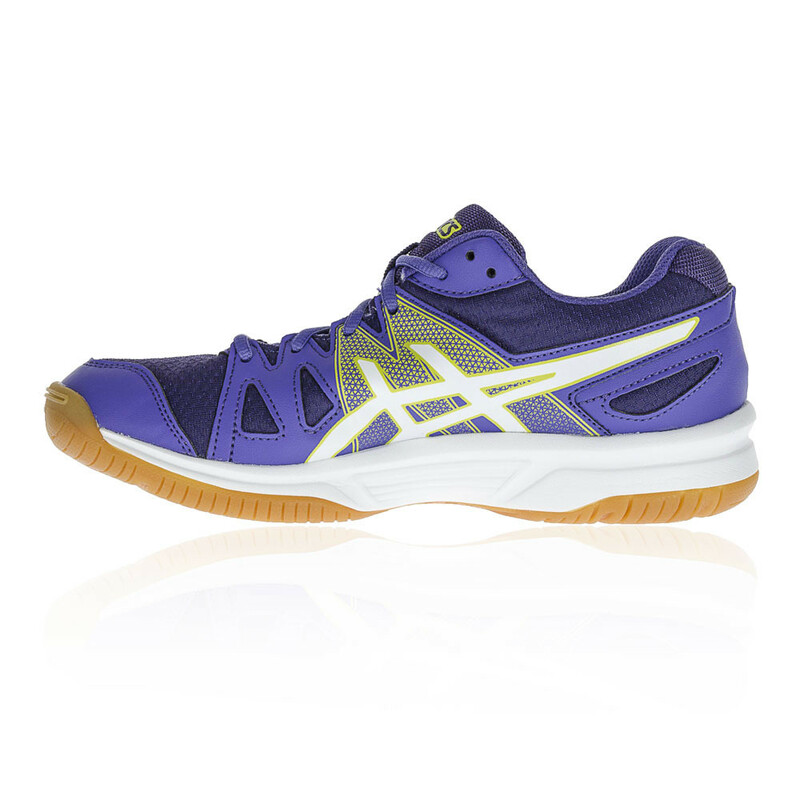 "Great indoor court shoe. Looks fab and excellent value." "Great shoes perfect fit thank you"
A synthetic mesh material has been used to construct the upper of the Asics Gel-Upcourt. The mesh actively and efficiently eradicates the build-up of excess sweat and moisture, leaving the feet as cool and as dry as possible. Additionally, cool air is encouraged to circulate, creating a drier, healthier environment for the feet to thrive. Synthetic overlays have been added for resilience and durability, guarding against friction and irritation such as chafing. The padded tongue sits comfortably against the skin while a traditional lacing system offers a secure, locked-in feel. California slip lasting directly attaches the upper to the midsole for extra protection and stability. The upper is stitched around a canvas or EVA board. Rounding off the upper is a removable sockliner which moulds to the shape of the foot and can be removed to be replaced by a medical orthotic. An EVA Midsole provides excellent cushioning, stability and shock absorption, reducing impact during those sharp movements on the court. 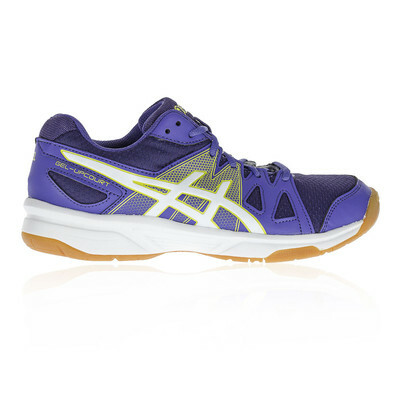 Asics' signature GEL cushioning technology helps immensely when slamming down hard on the court surface, whether jumping high in badminton or making sharp turns in squash, the shock absorption system will ensure your legs don't feel the strain as the match wears on. GEL Cushioning - Reduces shock and impact placed on the knees and joints.